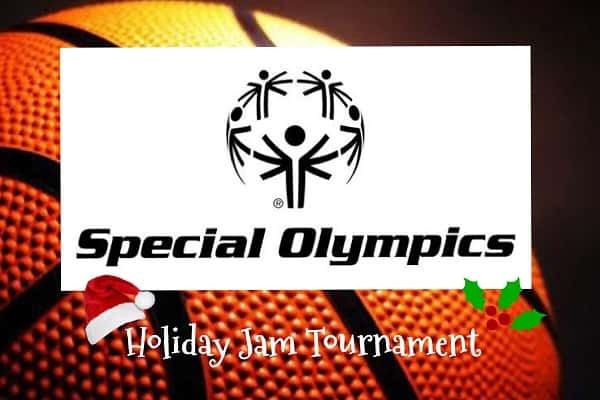 The Holiday Jam Basketball Tournament for Special Olympics will be held Dec. 15 at Marshall County High School. Games begin at 8 a.m. with the final game at 4:15 p.m. Come out and support your local athletes. Admission is free! If you would like to help with the tournament contact Coach Jonny Byrd 270-252-4672. Game 3 9:30 a.m. – Main Gym – Christian Co. Tigers vs Caldwell Co.
Game 6 8:00 a.m. – Auxiliary Gym – Murray Green vs Trigg Co.
Game 2 11:00 a.m. – Main Gym – Murray Blue vs Hopkins Co.